The expensive showroom prices often attached to your dream car can easily be avoided with the right know how. Whether it's a luxury sports car or something a little more practical, budgeting for your dream car is easier than you might think. To get you started, take a look at our quick guide to bagging your dream car for less. PCP deals are perfect if you don't want to buy your dream car in one go. Essentially, this involves arranging monthly payments with the car dealer after an initial deposit. You can make a huge saving this way, as a big chunk of the car's value is left until the "Optional Final Payment". The OFP can either be paid once the contract is up, or you can trade in the remaining value against a new model. 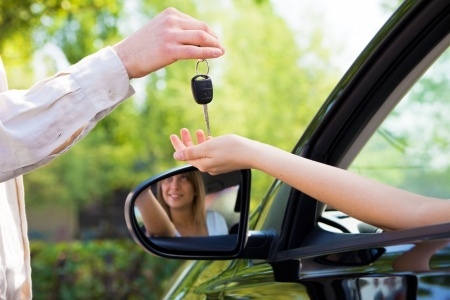 If you discover the car isn't everything you've dreamed about, you can hand it back without paying any final deposit. While interest is usually added, it can still be an incredibly cheap way of getting your hands on your ideal model in no time. Patience is your friend when it comes to buying a new car. For example, you can make a massive saving on slightly older models once new number plates are released in September and March. Alternatively, try shopping around during the end of each quarter as dealers rush to hit their beloved sales targets - this is prime time for haggling, with sales staff often given more scope to offer even bigger discounts by their managers. As is to be expected, second hand cars are usually much cheaper than their first hand counterparts. Your dream car doesn't have to be brand new, and by scouring the second hand market you can find a model with all the added extras that you could imagine, all for less than the price of a brand new car. Be sure to check its history before you commit, and make sure you get the details of any manufacturer warrantees that could help you out if something goes wrong. A lot of prospective buyers often say that they find it hard to haggle in intimidating dealerships. To get around this, shop around and get several different quotes. These can be useful when it comes to negotiating, giving the impression that you know just as much about the market as the dealer. You should also try to stand firm. If you have a budget in mind, don't be swayed by the dealer's attempts to upsell. Once you've got a model in mind and put a negotiating plan in place, it's time to start budgeting towards your dream car. Our free Money Dashboard budget planner is a great way to get started, with all the tools you need to help you save, budget and plan for your financial goals.